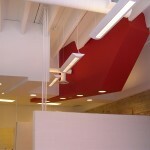 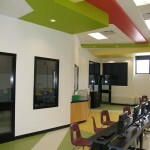 We believe school buildings should be an education in of themselves. 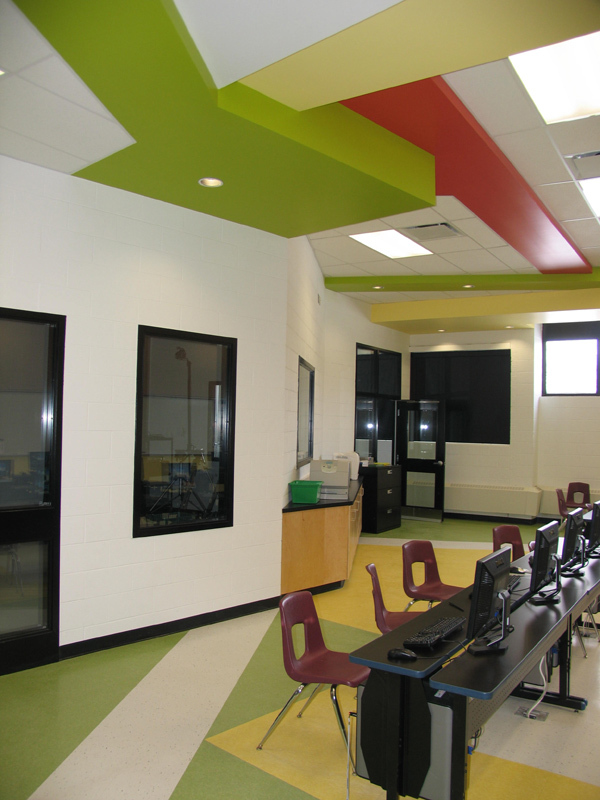 Educational facilities have an opportunity to inspire, enhance and nurture learning and the development of students of all ages. 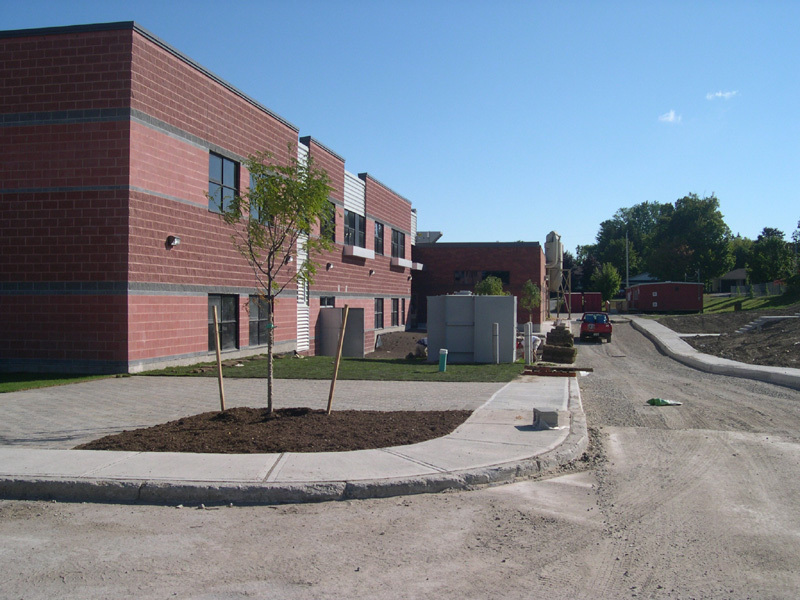 Schools should also be a source of community pride and by working with the school board and local user groups we strive to reflect the character and heritage of the surrounding neighbourhoods and municipality. 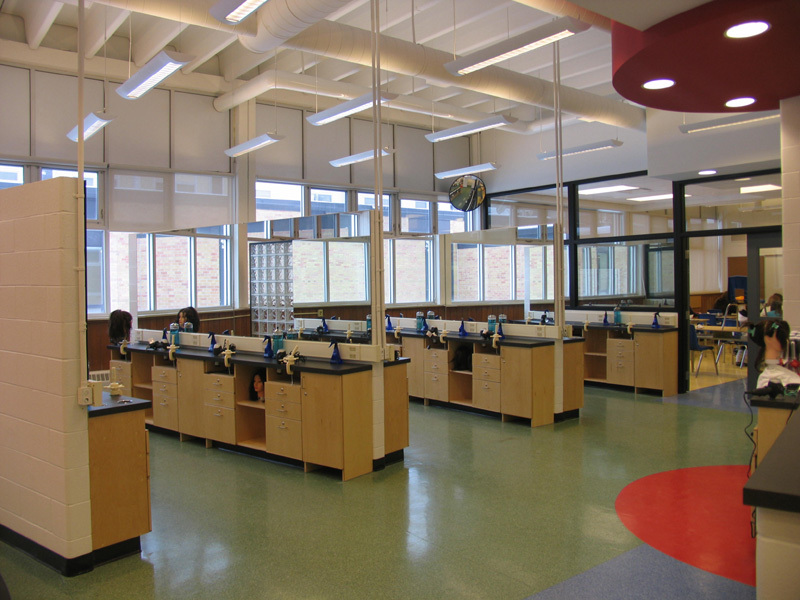 There are increasing concerns for many elements that play a role into good school design, including: sustainability, daylighting, code red, flow of traffic, storage and multi-use. 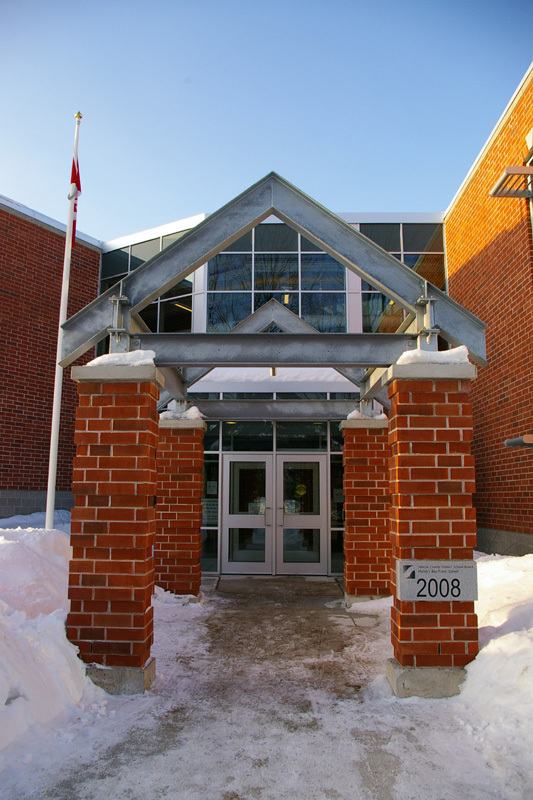 Through our many years of experience in working with school boards, we have grown with the industry and have learned how to best address each of these issues to provide a balanced solution for students, teachers, support staff and other user groups. 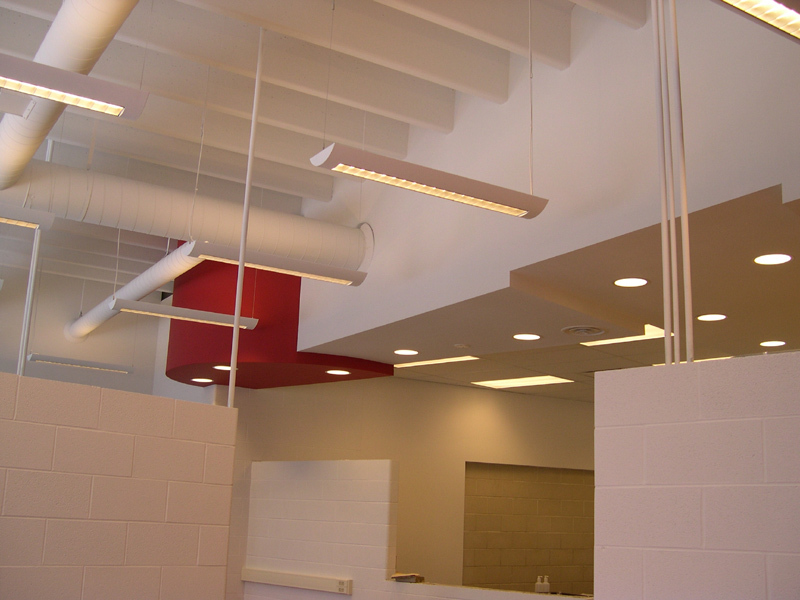 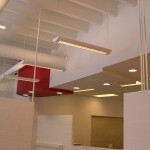 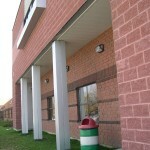 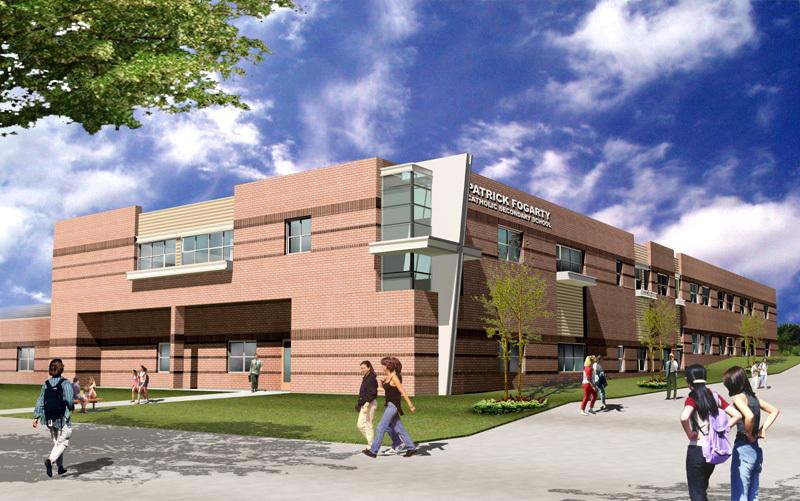 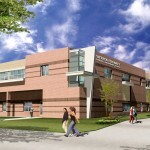 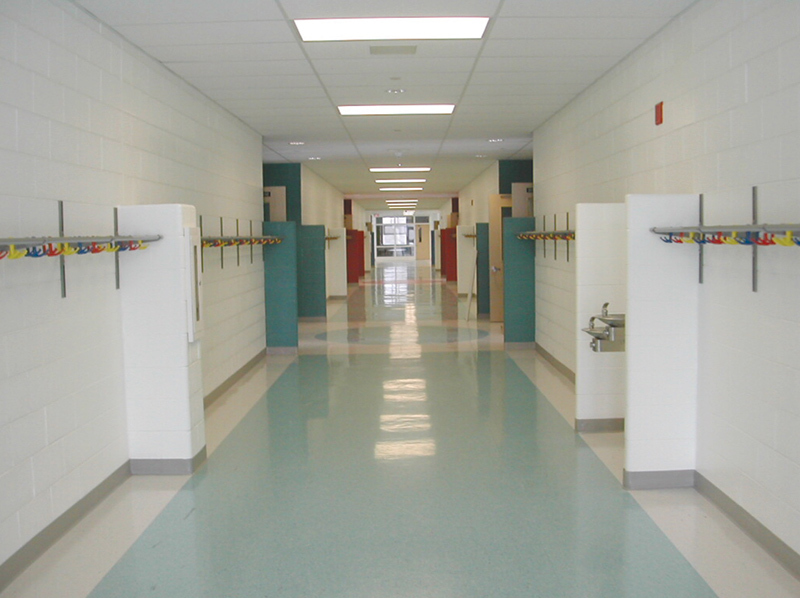 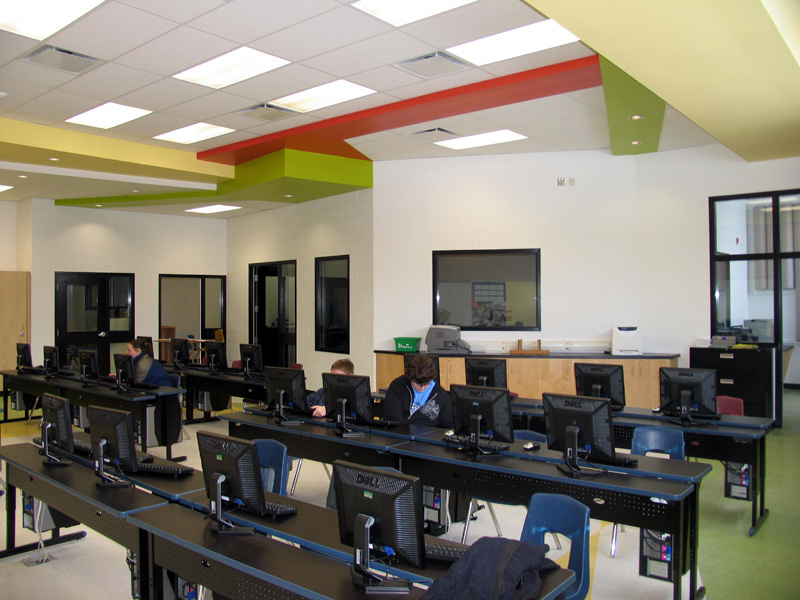 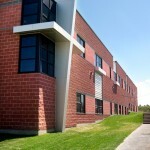 We have completed design for new schools, renovations and additions, capital improvements and replacement schools. 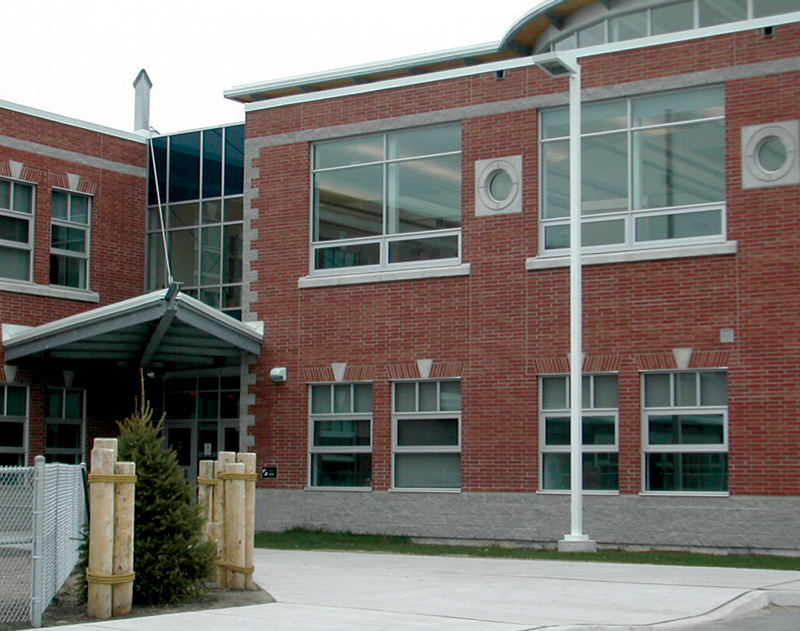 We are in the business of partnering with school boards to design schools with the end-users and community in mind while achieving the goals of the Board. 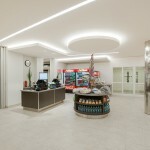 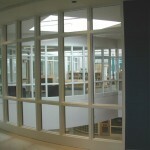 We welcome you to contact us to discuss your upcoming projects and ideas. 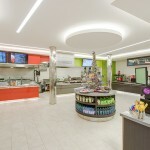 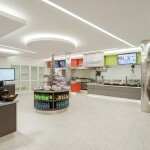 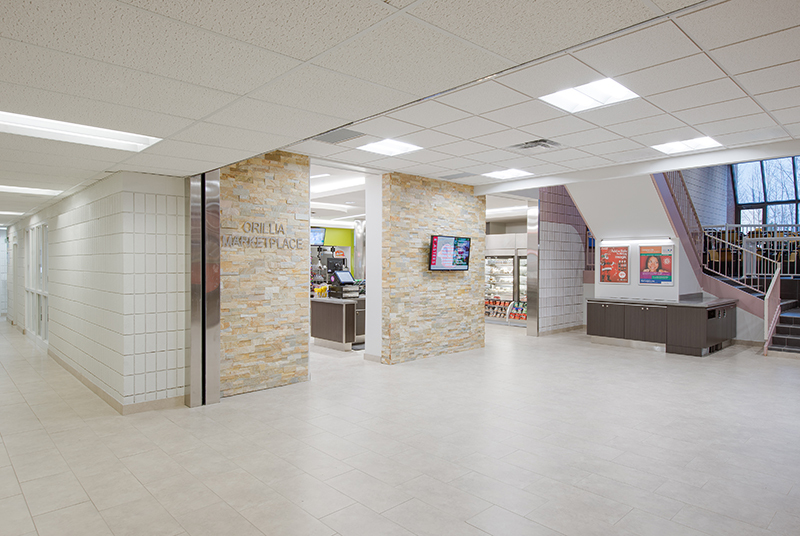 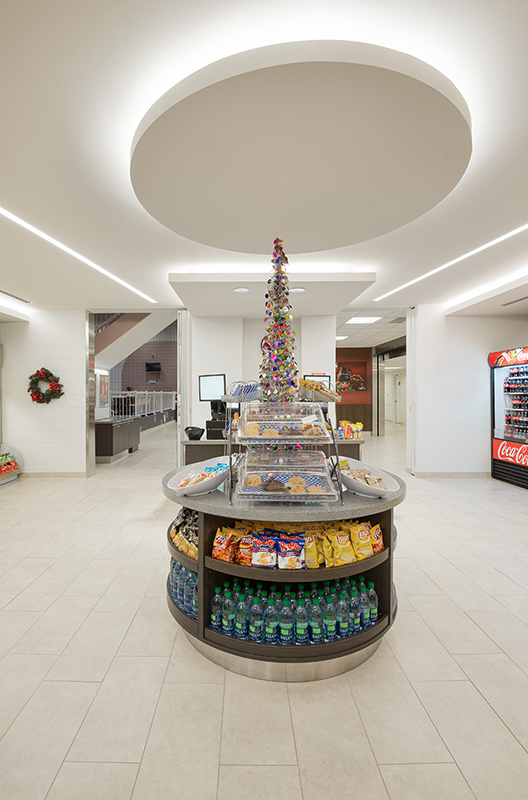 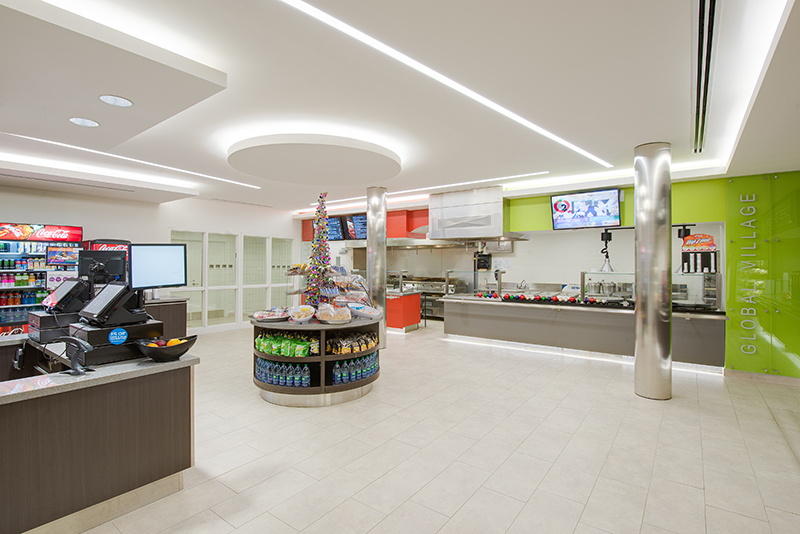 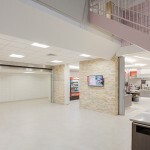 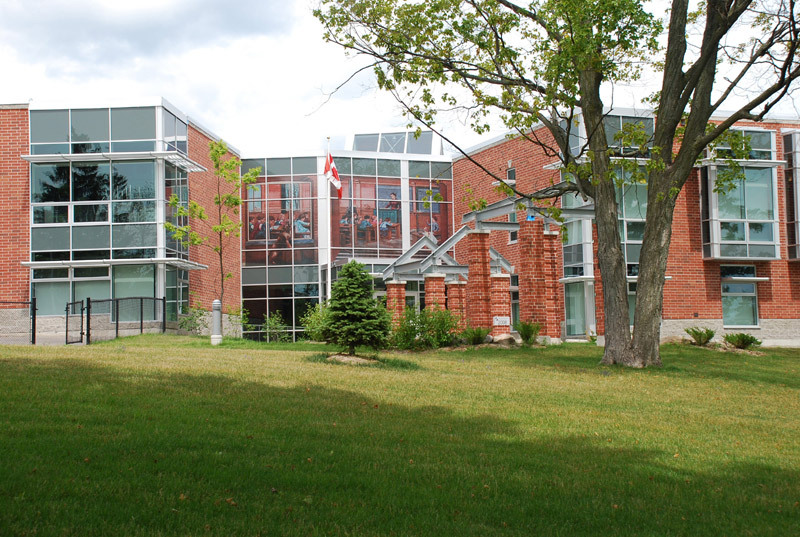 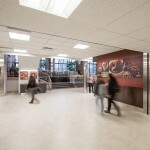 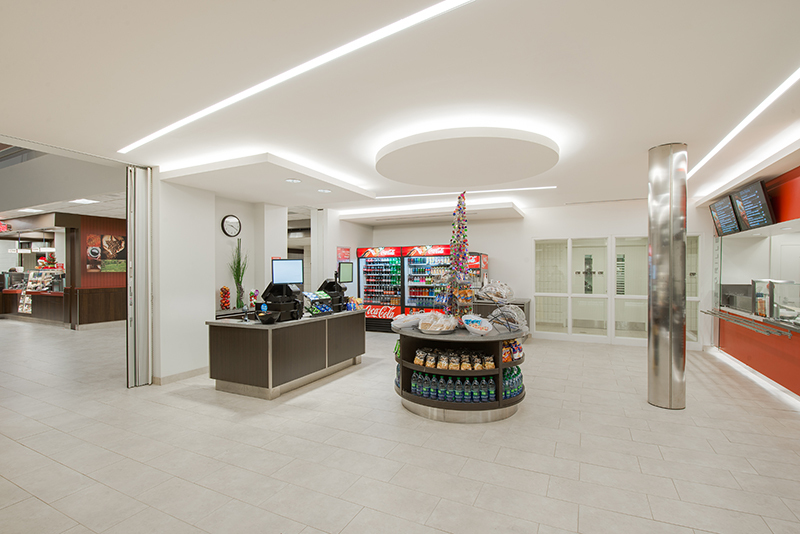 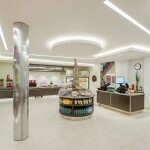 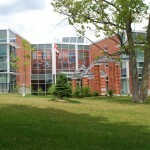 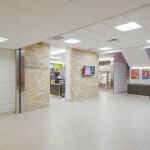 This interior renovation creates a new servery and cafeteria for the students at Georgian College’s Orillia campus, complete with an improved working space for employees working within the food services program. 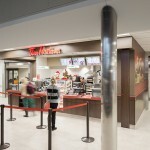 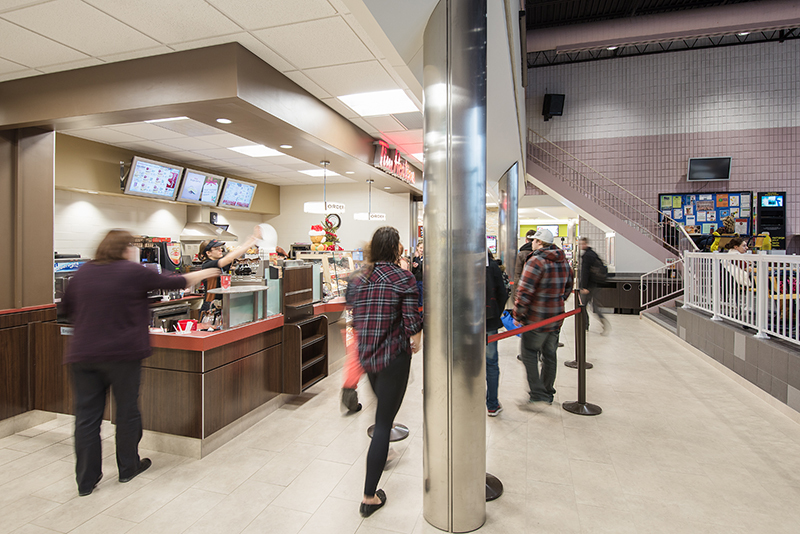 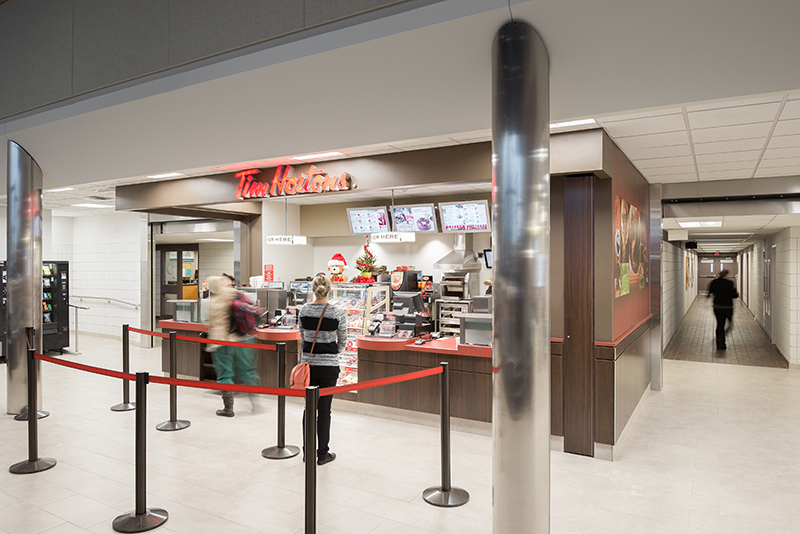 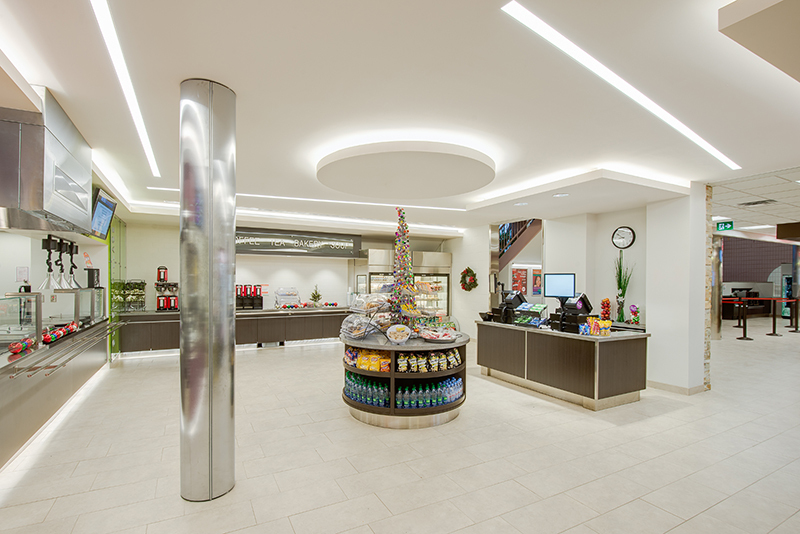 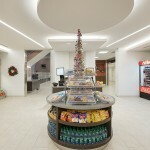 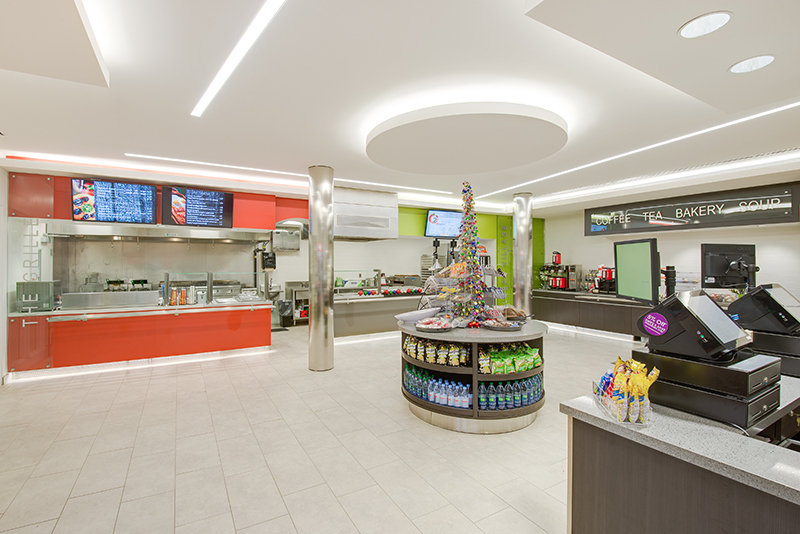 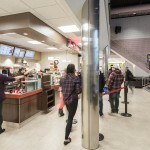 The project included installing a new centrally located Tim Horton’s kiosk, renovating a servery with several food amenities (such as a beverage area, two food venues, and an ‘on-the-go’ area) and increasing the supporting spaces for the kitchen with improvements (such as a new walk-in cooler/freezer, prep space, a loading area, staff areas, and an office). 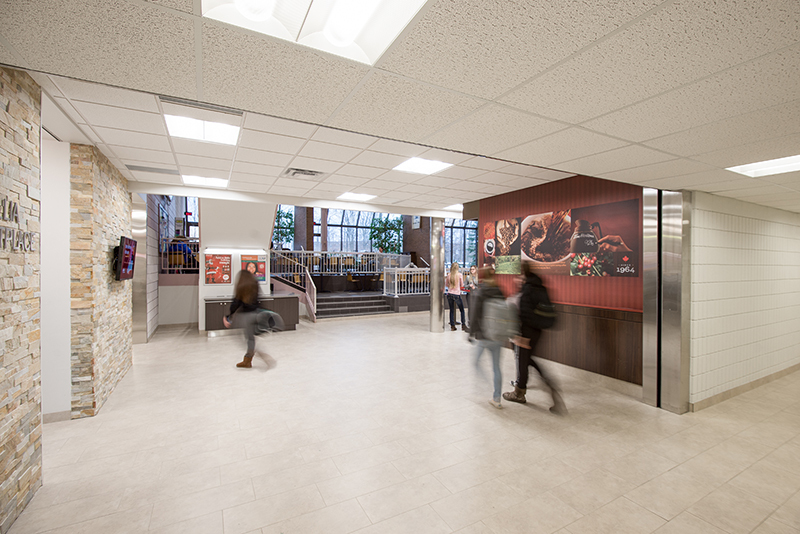 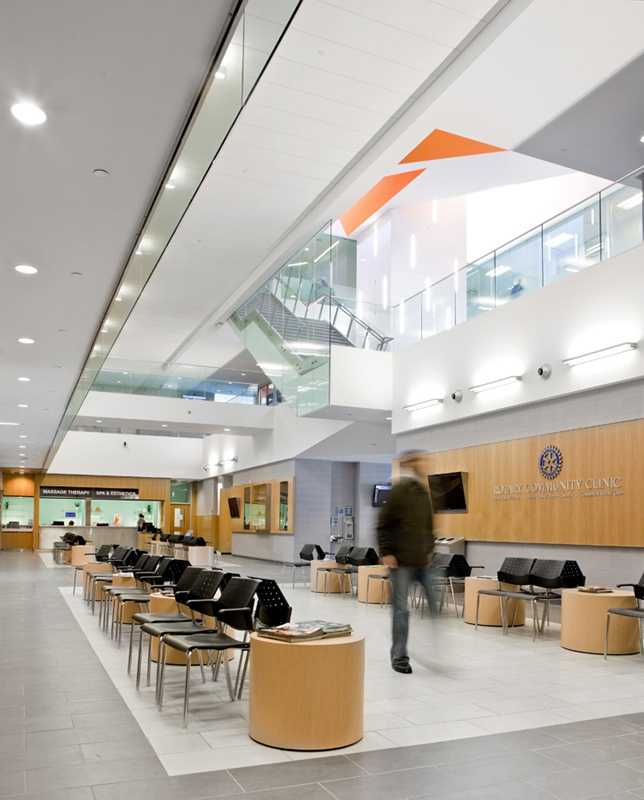 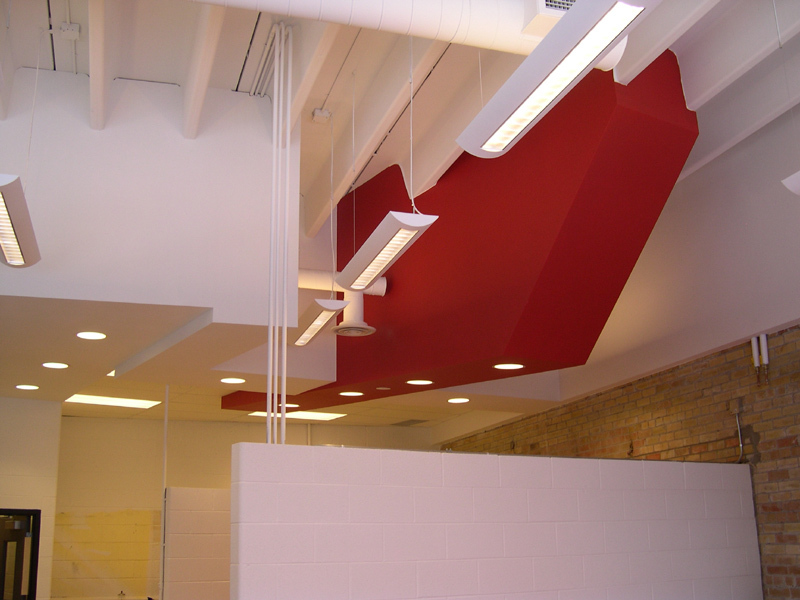 We were able to increase the ceiling height in the main public areas, improve finishes, modernize the existing spaces and create an open circulating space. 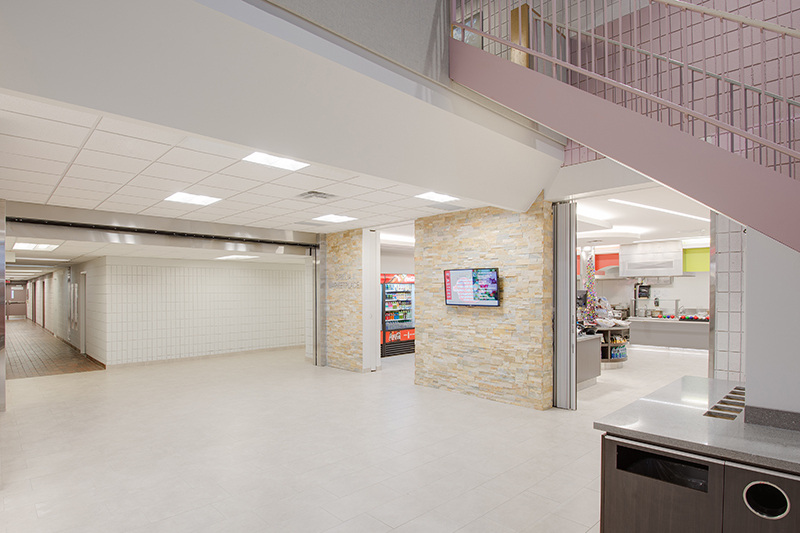 The previous space had very narrow areas, pinch points at doors, a small and dark feeling servery and an inefficient kitchen. 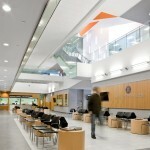 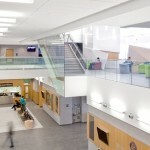 Developed as a joint Venture with aTRM Architects and Teeple Architects Inc., this new facility brings together all of Georgian College’ s health related disciplines in an inter-disciplinary environment consisting of teaching clinics open to the public. 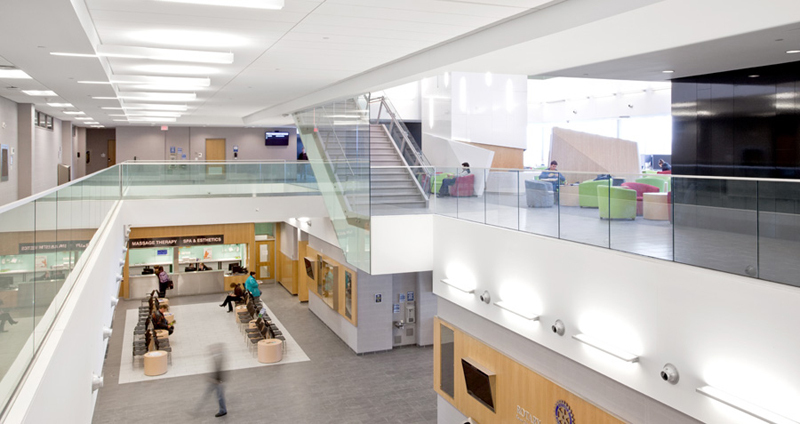 The clinics include: Dental Hygiene, Physical Health, Optometry, Spa and Aesthetics, Massage, Personal Support Workers, Communicative Disorders, as well as training facilities for Nursing, Paramedics and Pharmacy. 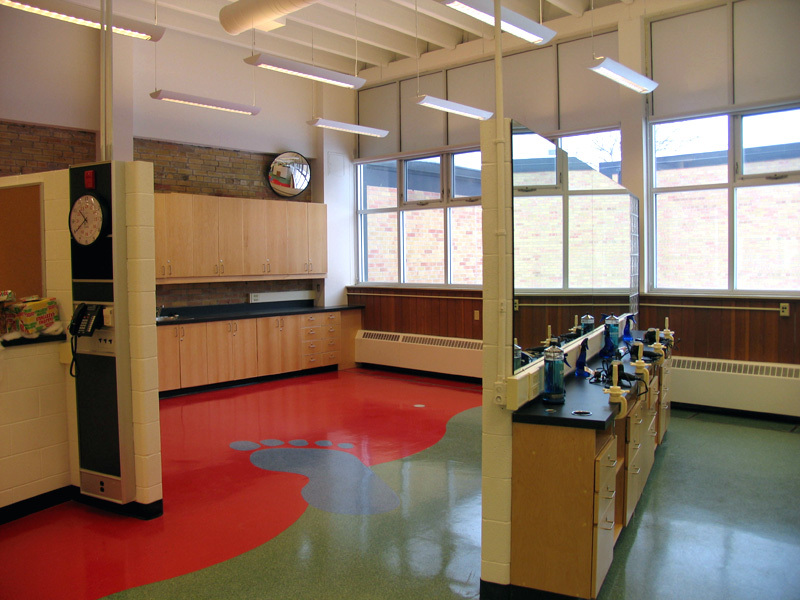 Physics, Chemistry, and Biology labs are also included in this shared, synergetic learning environment as cross disciplinary learning is a strong focus of this department. 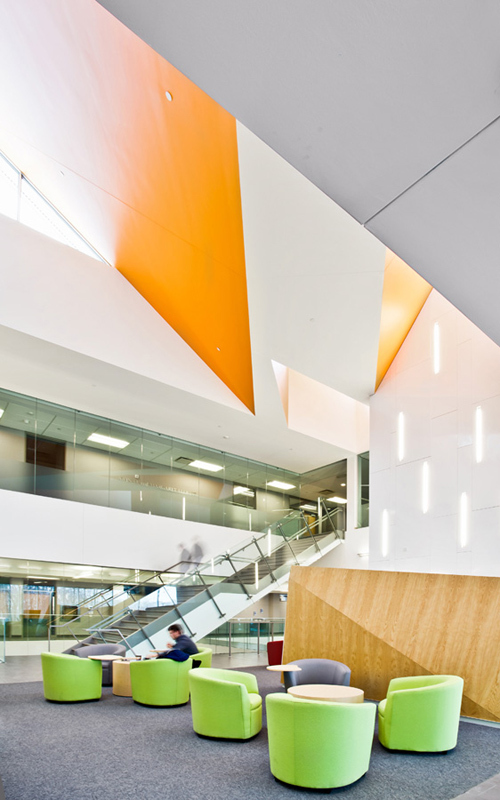 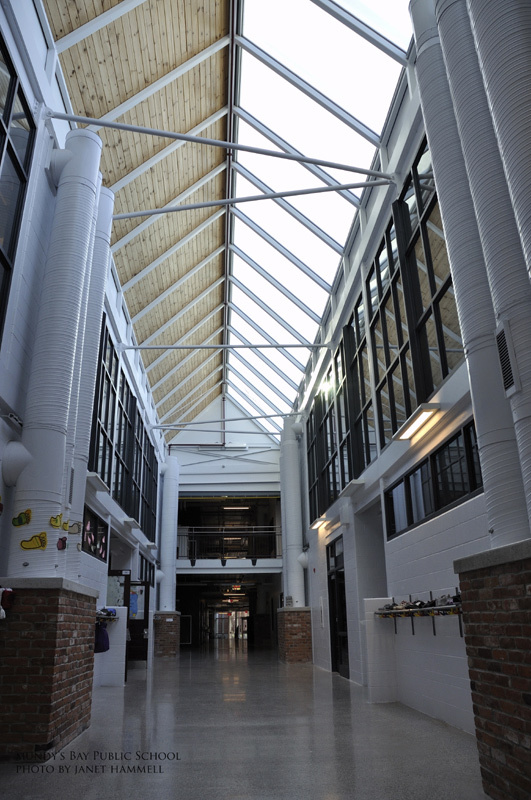 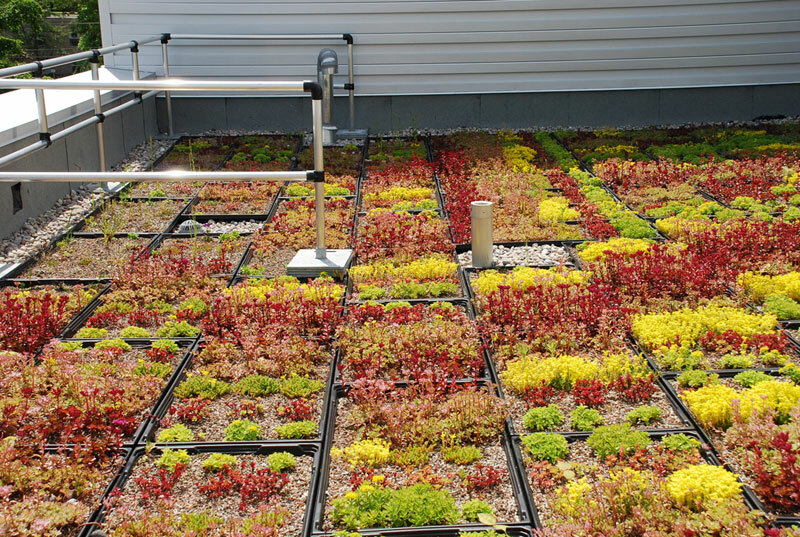 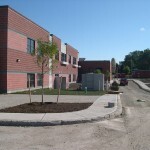 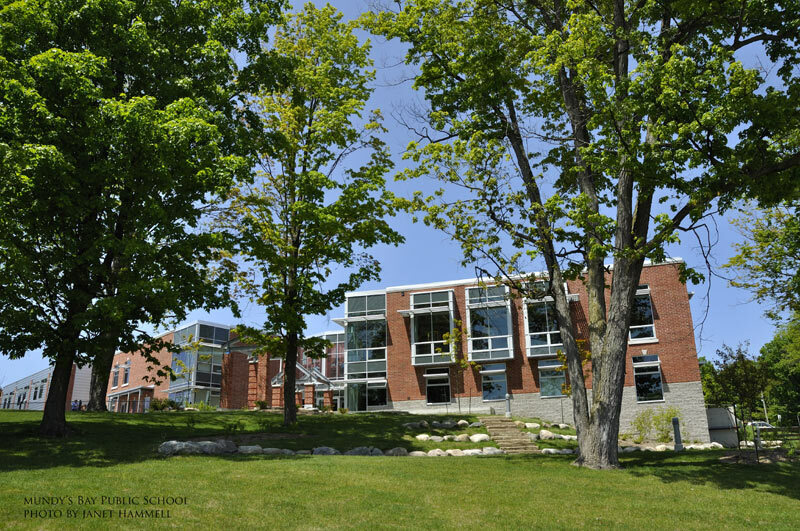 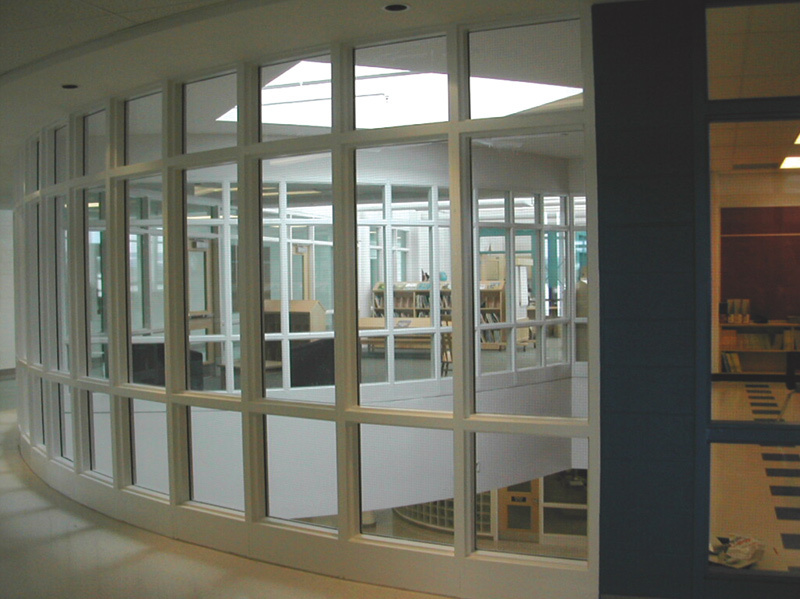 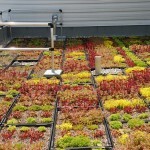 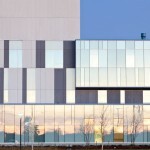 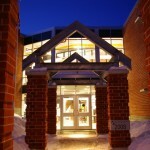 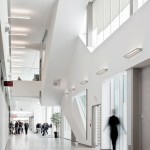 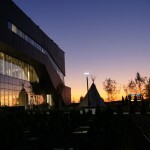 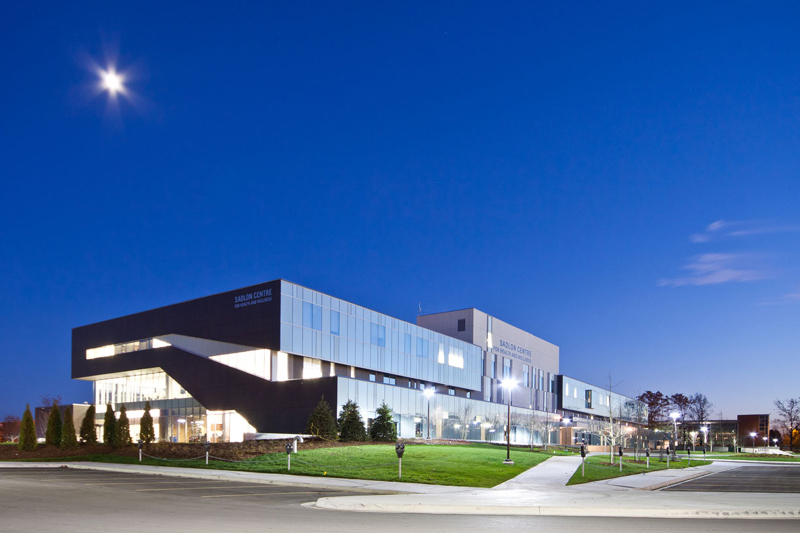 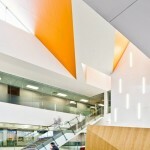 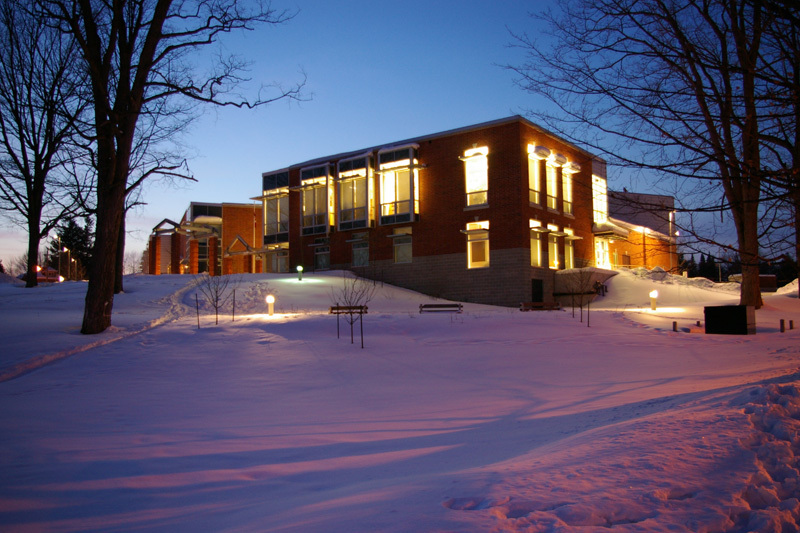 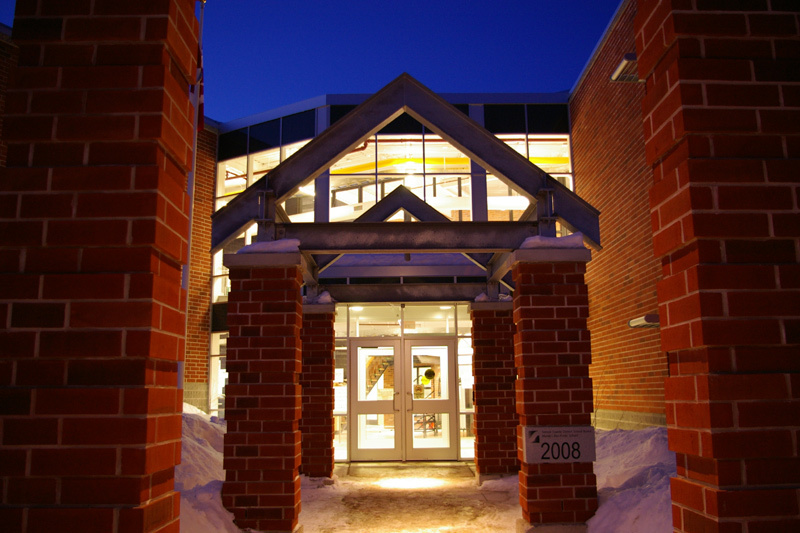 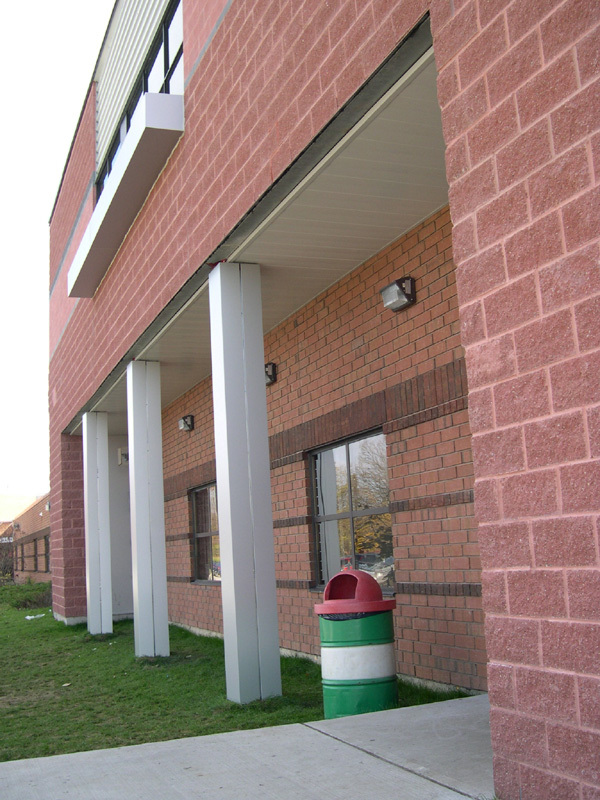 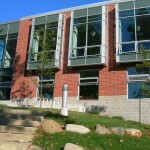 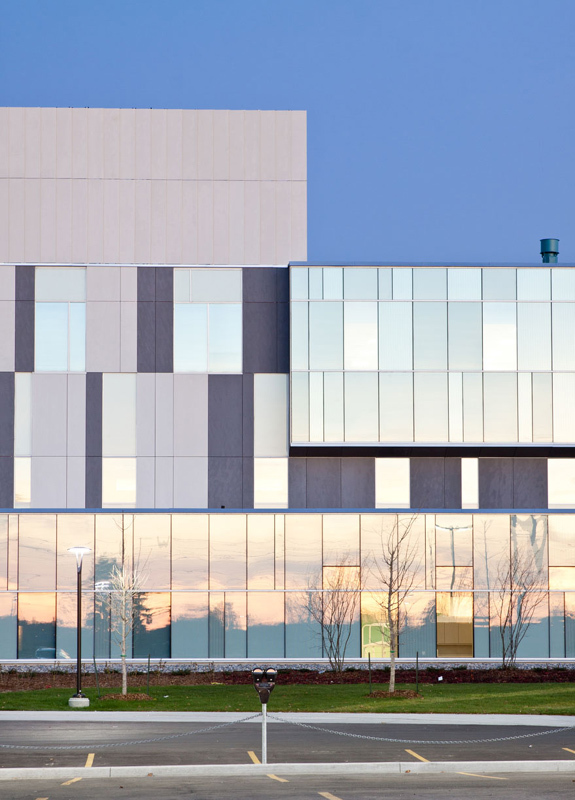 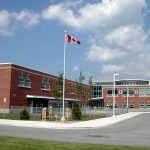 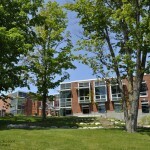 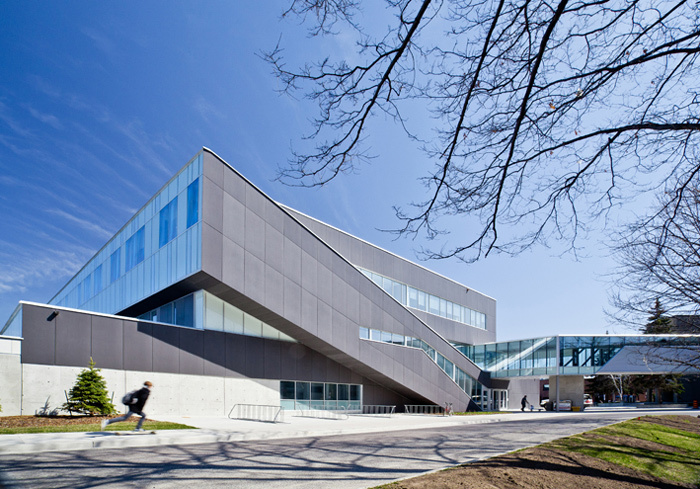 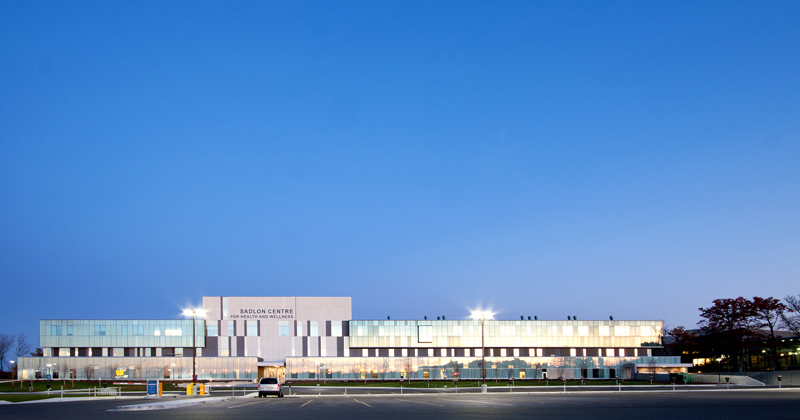 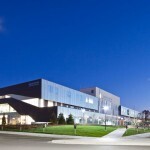 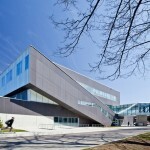 As one of the first recognized sustainable schools in Canada, Mundy’s Bay incorporates energy efficient systems along with significant elements of the community’s heritage. 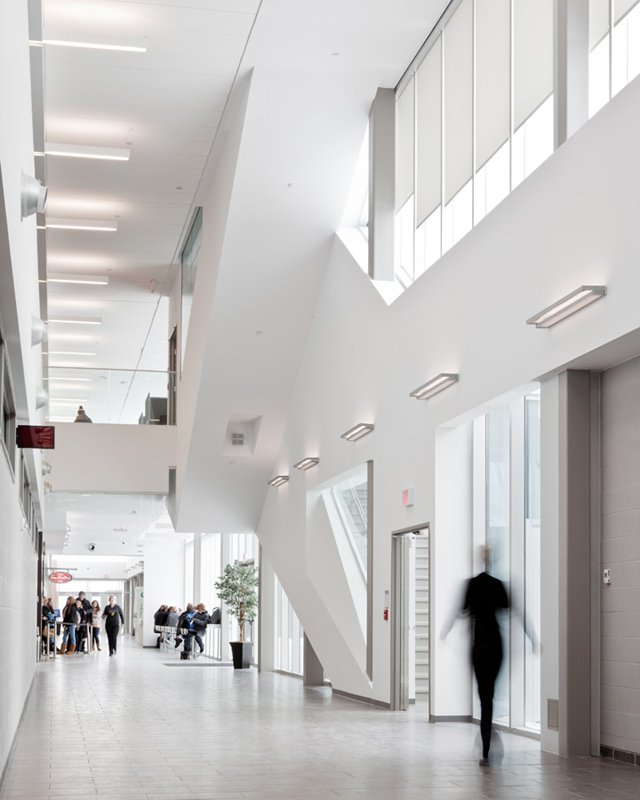 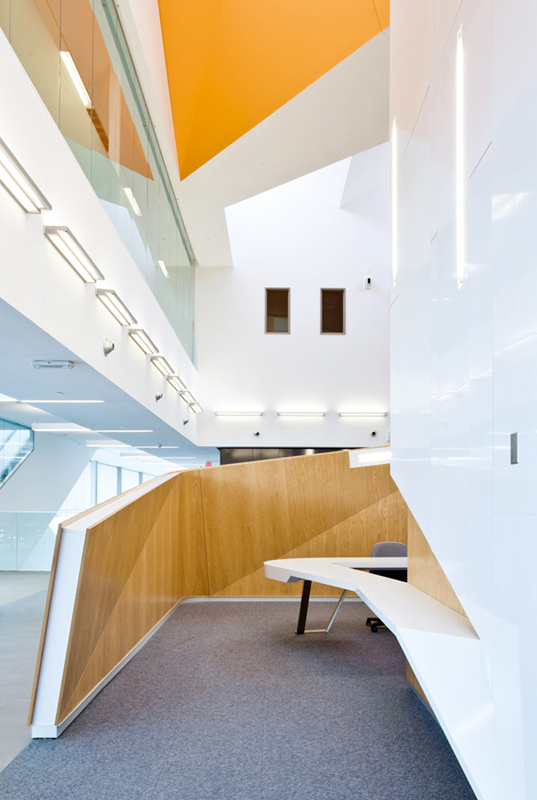 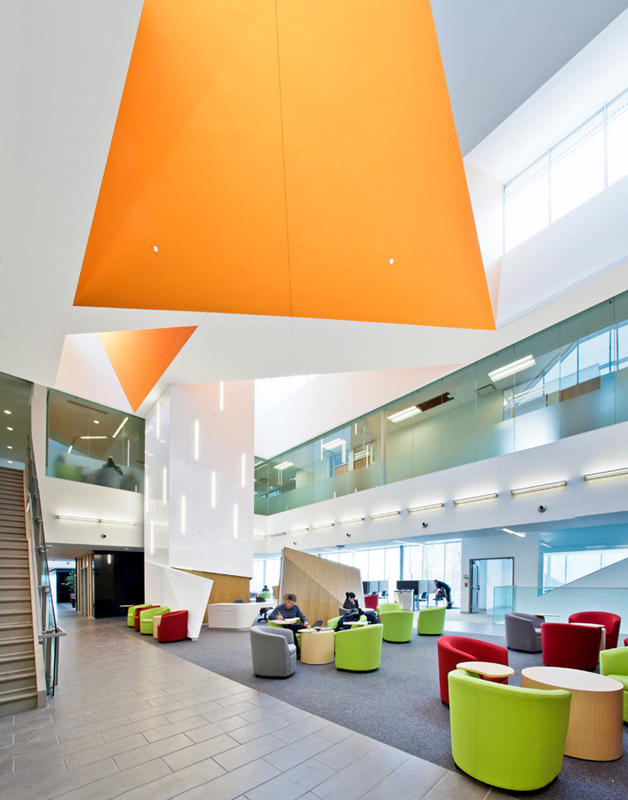 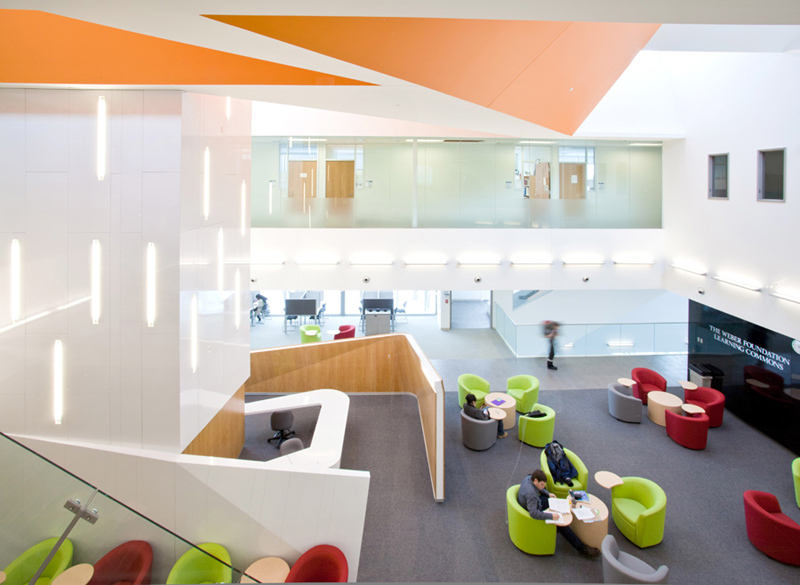 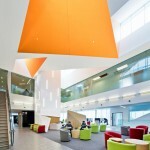 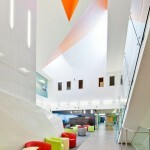 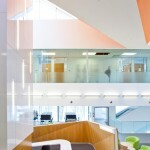 Student achievement and environmental sustainability were the driving principles behind the design that has created an atmosphere to boost productivity and inspire learning. 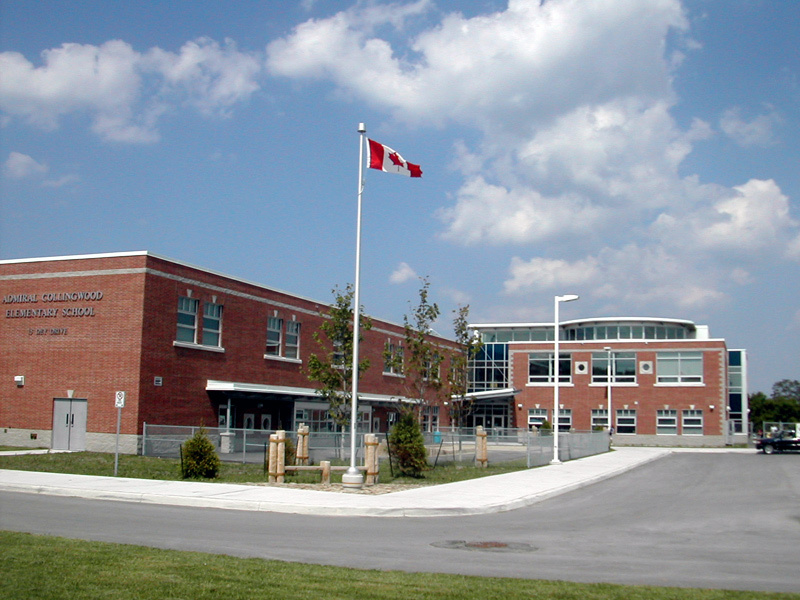 In keeping with the green theme of the project, the school has gone on to receive the Ontario ECO Schools Gold award recognizing the recycling, composting and other sustainable initiatives of the staff and students. 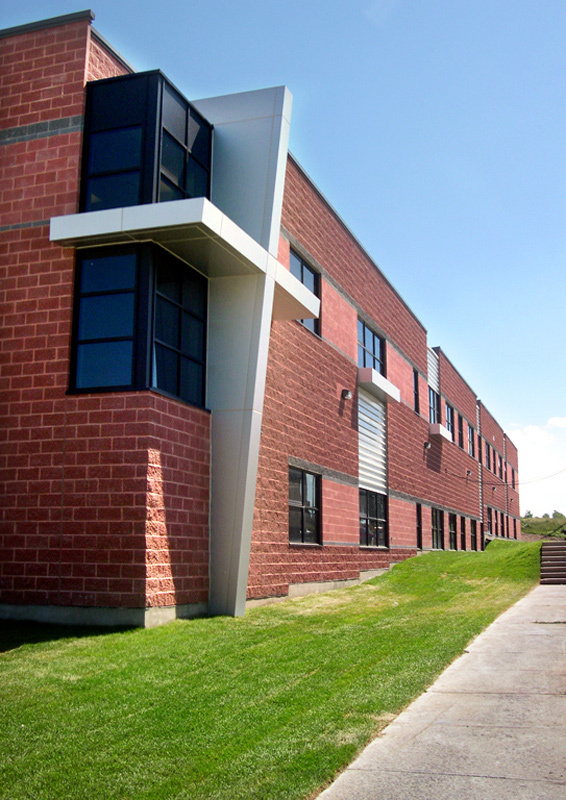 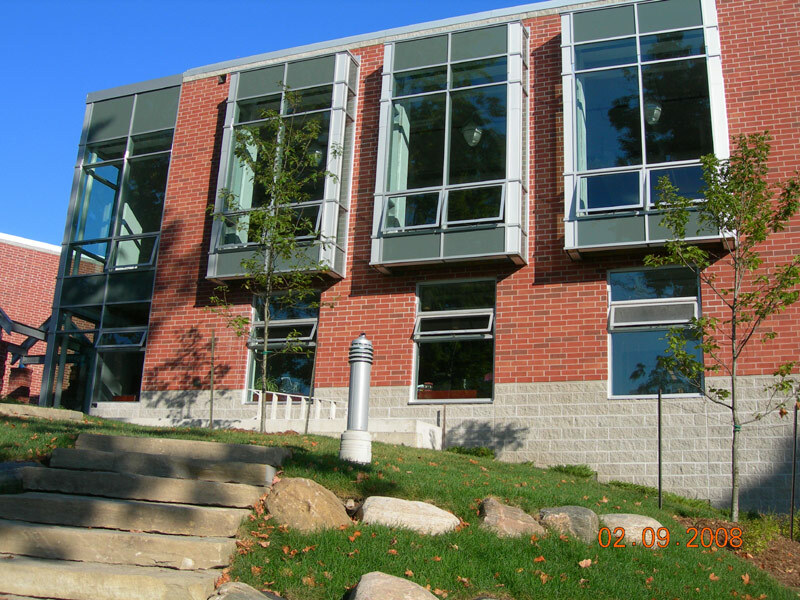 The school was a 60,000 square foot expansion to a small pre-fabricated building containing five existing classrooms, offices and a cafeteria. 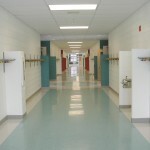 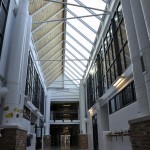 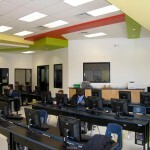 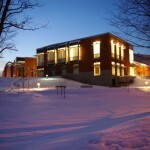 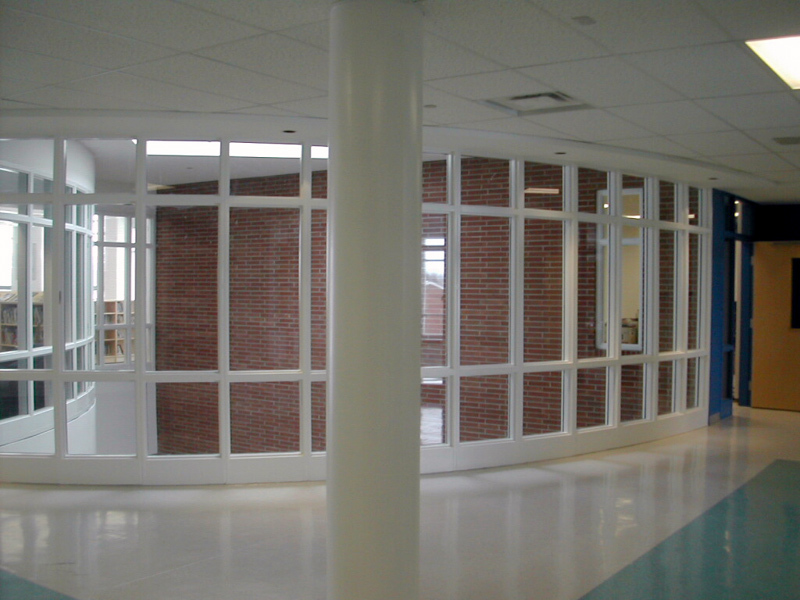 The expansion involved the construction of mostly specialized rooms including science, art, music, special education, computerized typing, two industrial art shops as well as all new support rooms. 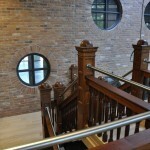 The chapel forms a key element at the entrance and is a focus at the end of the central hall. 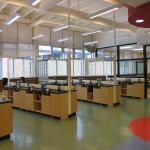 Many upgrades have been made to this existing secondary school, including newly programmed classroom space for cosmetology and communications studies. 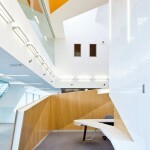 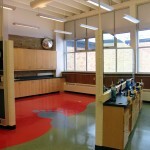 The design required the conversion of existing classrooms into larger scale, more accomodating teaching spaces. 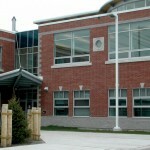 Along with several upgrades outside this scope, the project was very successful. 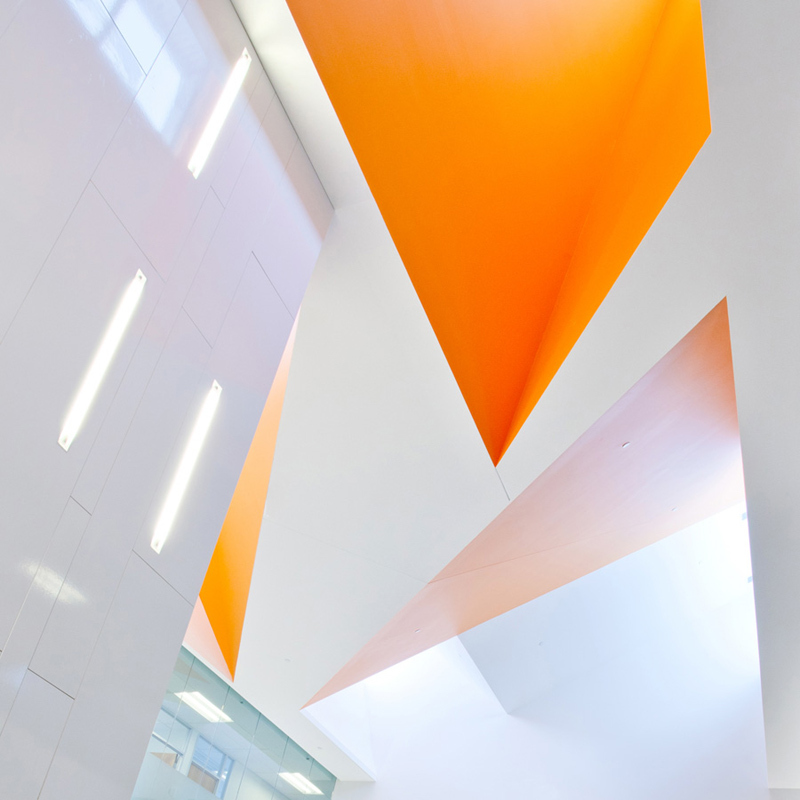 The original materials were uncovered and left exposed, creating a strong connection to the existing and infilling it with new life. 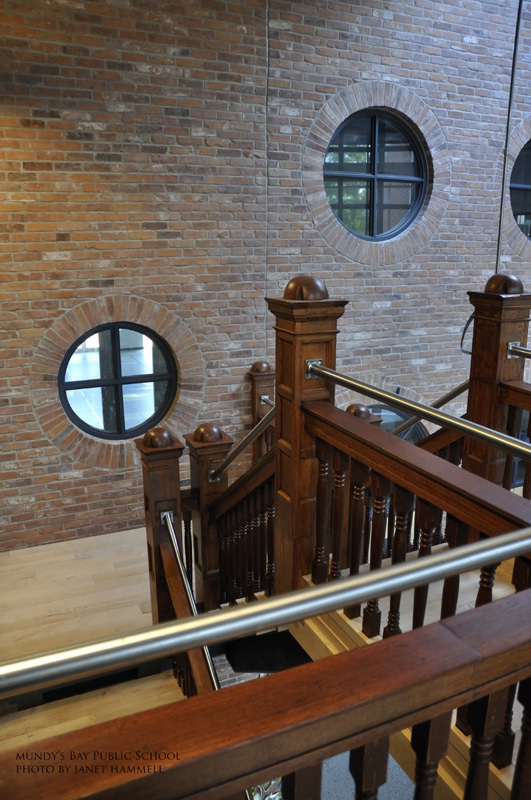 This school project was inspired by the town’s long history of shipbuilding and was designed with a nautical theme. 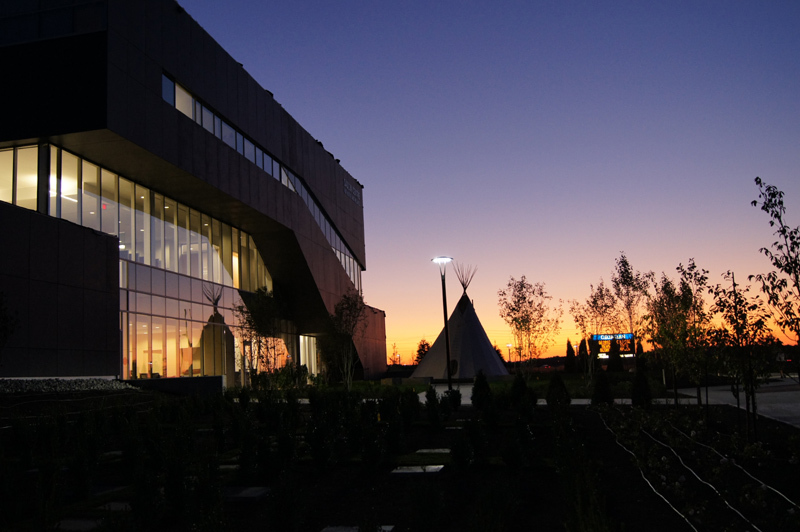 The front entrance resembles the bow of a ship with exposed steel structure and suspension steel cables. 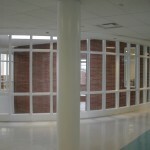 The marine character continues through the porthole windows in the kindergarten room and wood piling used in the library. 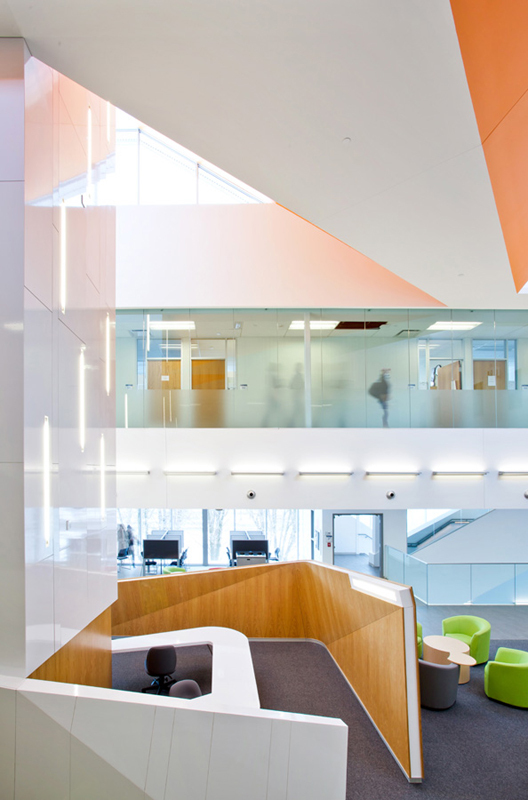 The library roof was designed to emulate the wheelhouse of a ship. 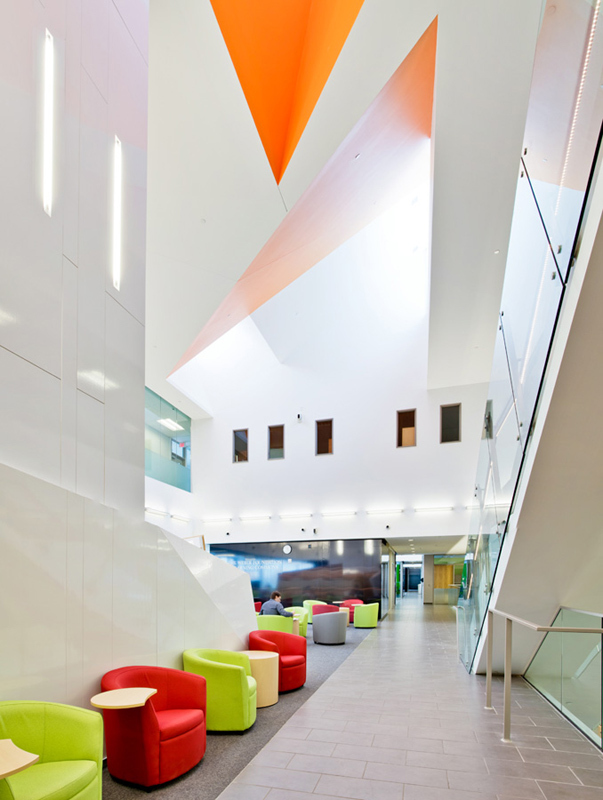 The colours of the terrazzo flooring reflect the colours of the sea, while the large compass symbolizes navigation into the future. 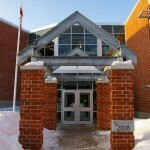 Exterior building materials and detailing were based on the original Admiral Collingwood School, which had a long history and fond memories for many people in town.